Hrithik Roshan has conquered most feats in the cinematic world, from high-octane action roles, to drama and romance. But now the Bollywood heartthrob and ‘Asia’s sexiest man’ has set his sights even higher – by becoming a cartoon superhero. for his much loved children fans! The world knows of the the charecter that is ‘Krrish’ so Cartoon Network and Toonz are working together with director Rakesh Roshan’s Film Kraft Productions to produce four animated movies based on the Hindi superhero. The cartoon films will depict the childhood adventures of Krishna, who discovers that he can help people and save the world with the special powers bestowed upon him. 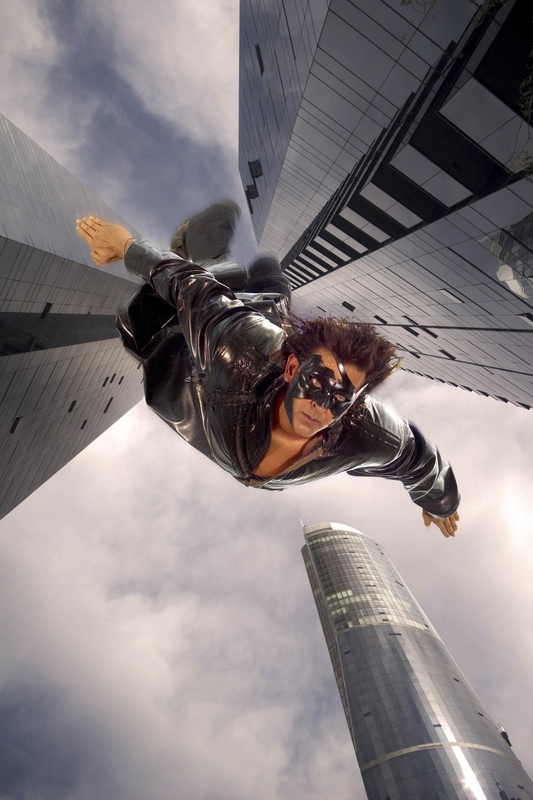 ‘Kid Krrish’, will be due to air on Cartoon Network in mid July 2013. Rakesh Roshan’s, ‘Koi … Mil Gaya’ and ‘Krrish’ went on to become the first superhero films of the Indian film industry. The third installment – ‘Krrish 3’ – is scheduled for a Diwali 2013 release, and will once again star Hrithik in the title role. This time he will be joined by Priyanka Chopra, Kangna Ranaut and Vivek Oberoi. ‘Since ‘Krrish 3’ will be ready for release this Diwali, I wanted to revive the memory of ‘Krrish’ with children and the newer generation who may not have seen ‘Koi Mil Gaya’ or ‘Krrish. I also want to spread the message of friendship and love through this series. My grandsons loved the idea and are excited about this project.’ Rakesh Roshan. ← Rani Mukerji signs up for the Police! Karachi Fashion Week shows off its runway!